A cup of this chai latte is like a Fall hug in a mug! *This post contains some affiliate links for your convenience. Please see my disclosure statement HERE. 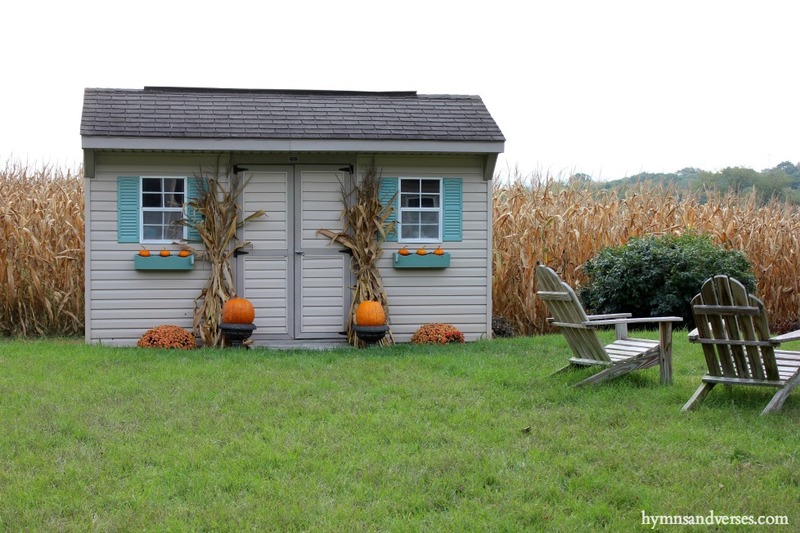 On this first Saturday of October, I’m joining a few of my blogging friends for a monthly Cozy Living Series. 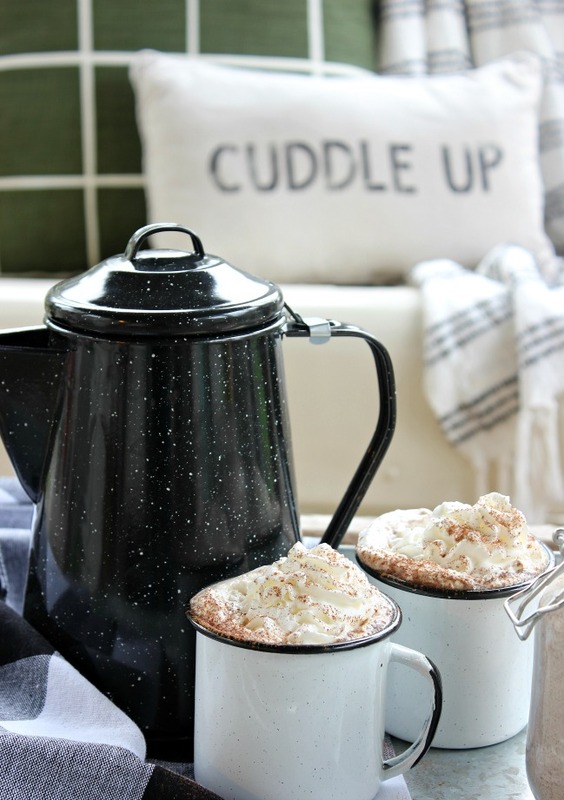 The first Saturday of each month, we’ll be sharing things we do to create a warm and welcoming home that is cozy This first weekend of October, fall is definitely in the air! The days are getting shorter and the temperatures are definitely cooler! I’m so thankful for the cooler temps because I can finally enjoy my screen porch. This past summer was so hot and humid and the end of summer was so rainy that our time on the porch was really limited. But, this week I’ve been woken by furry paws and meows before the sun rises! My cat, Sadie, loves being out on the porch and is determined to get me up and moving so I can open the door for her. Even though I’m not a morning person, I have to admit that it’s been nice to get an earlier start to the day and see the sun rise over the golden corn field behind our house. 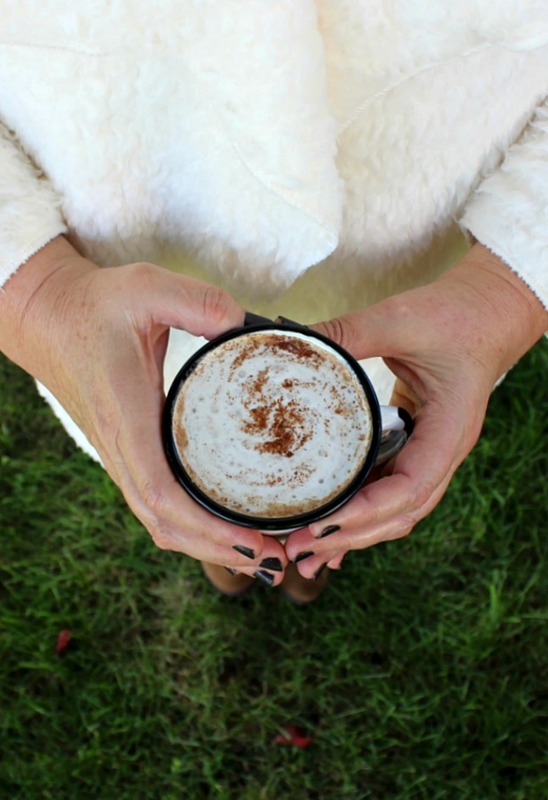 I pull on a cozy sweater, my furry slippers, and make myself a chai latte to keep me warm on these chilly mornings. I make this chai latte dry mix every fall. I know chai isn’t technically just a “fall” beverage, but the spices in the ingredients do lend themselves to the season. You just combine 1/4 cup of the dry mix with hot milk and you’ve got the yummiest Chai latte that rivals that of your favorite coffee shop! I like to add some whipped cream and a sprinkle of cinnamon to the top to make it a little fancy and decadent! I spotted this enamelware kettle and mugs at Walmart and the style reminded me of something my grandmother used to have. I thought these pieces would be perfect for serving the chai latte when the kids come over for a fall evening around the fire. There’s nothing more cozy than relaxing around a campfire on a crisp fall evening! 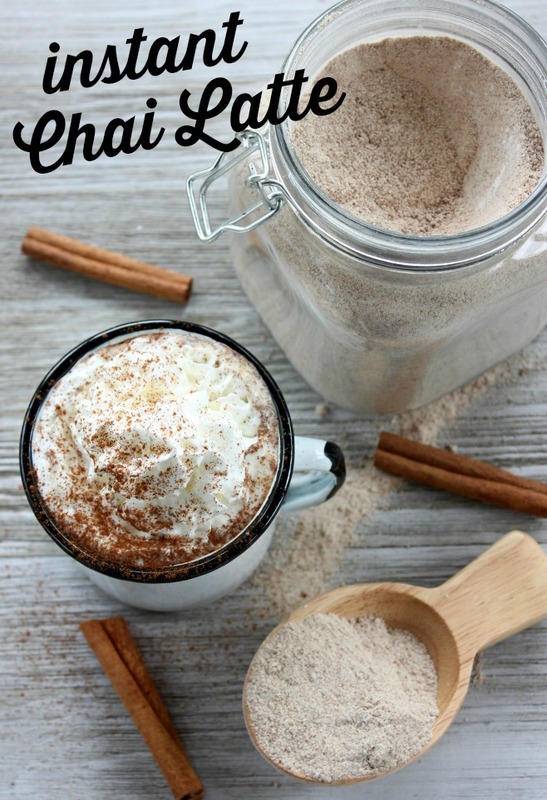 I hope you’ll try this Chai Latte mix to share with your family and friends this fall! And, you could also make some to gift to a friend! Now, lets’ see what my cozy-loving friends are sharing this month! Sincerely Marie Designs / Creative Cain Cabin / Vinyet Etc. Doreen, I never realized you had a corn field in your backyard!! It must feel so peaceful. I live where the suburbs of Chicago meet the farmers’ fields. I always love that first whiff of sweet corn in the air, and then the smell of harvest in the fall. I like to add a bit of whip cream to my hot beverages, too! Oh, I LOVE chai lattes all through the Fall and Winter! This looks so yummy! I need to come to your house for a chai latte doreen! 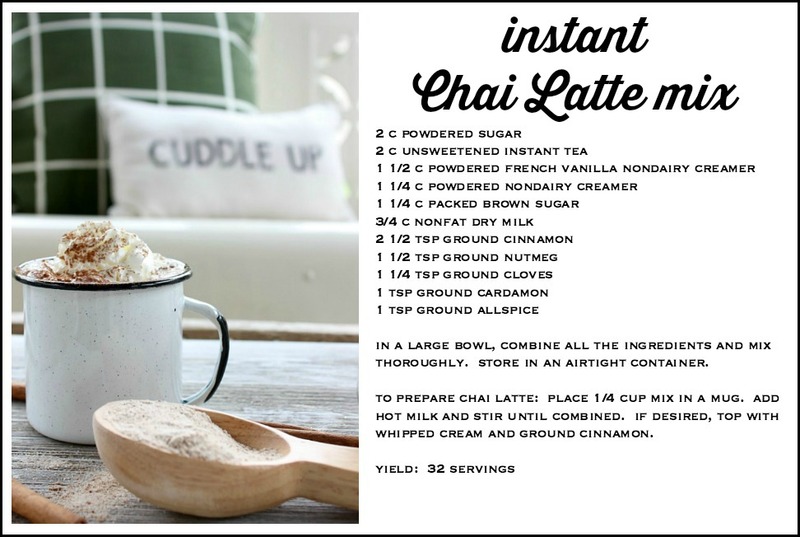 I love chai tea lattes and can’t wait to make your dry mix. The cornfield reminded me so much of my Grandma’s home when I was growing up in Michigan. Beautiful! This looks so delicious. I used to always get chais with my roommate at college. I’m pinning so I can make this at home. Love the enamelware as well. Oh my, I cannot wait to make the Chai Latte! !